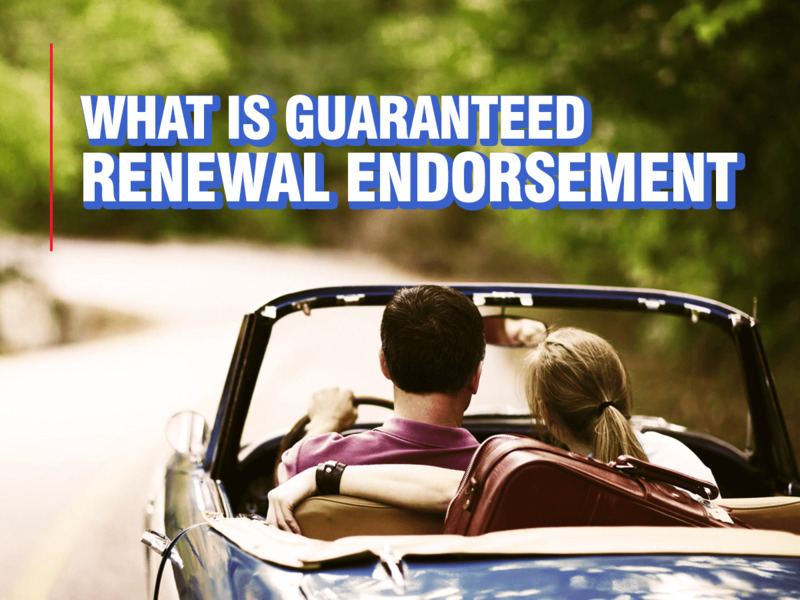 What Is Guaranteed Renewal Endorsement And Will It Help Me? Home>Articles>What is guaranteed renewal endorsement? There are a lot of things out there that people don't know exist, and guaranteed renewable insurance is sometimes one of those things. A guaranteed renewable insurance plan is one where your insurance provider is obligated to renew your insurance coverage, so long as you continue to make payments on your insurance policy. Many types of insurance have guaranteed renewable options, including disability, life, and health insurance. The benefit is that the holder of the policy has a reasonable guarantee their insurance coverage will continue even if they develop a condition, or multiple conditions, that would increase the likelihood of an insurer needing to make a payment on a claim. What Guarantees Does A Guaranteed Renewable Insurance Policy Make Concerning Premiums? One of the significant benefits of having a guaranteed renewable insurance policy is that it protects the person being insured from being without insurance if a condition develops that could require costly ongoing care, expensive treatment, or therapy. Basically, with a guaranteed renewable insurance policy, an insurance provider is required to allow the plan to renew so long as the policyholder makes payments on their premiums. Unfortunately, there are no specific requirements in regards to the level of premium that a customer may be charged for. Premiums may go up due to filings of previous claims on an insurance policy, even if it is guaranteed renewable coverage. It is also important to note that it is not uncommon for insurers to be able to increase the cost of premiums for specific groups of people that have insurance policies but are the same, or similar, over the life of a plan. A guaranteed renewable insurance policy has vast benefits, especially for people who want peace of mind, for many reasons. It can be a good insurance choice for people who have family history of costly things, guaranteeing that access to the insurance policy is maintained. Unfortunately, since prices can raise premiums in line with the perception of risk they have for policyholders, it might not always be affordable if an expensive medical situation occurs. Many insurance providers are also offering non-cancelable policies. These types of insurance policies provide additional protection through a guarantee regarding premiums paid under the plan. If the costs are similar for both policies, it may be a more beneficial option to choose the noncancelable policy for additional certainty.